It's reassuring to hear someone say it. After my 1900th post, 9 years later, I post much less. I think them sometimes, photograph for them sometimes, but often they never get past that stage. Enjoy your newly found time. Your break is well deserved! The visual-discipline has been helpful. Gratefully I wish you well. Thanks for the kind thoughts, friends. Altoon, your posts have always been thoughtful, glad they are available to be seen and wish you a good "break" which I'm sure will be full of many sorts of things. Enjoy! Enjoy! and thank you for the riches you have given. thank you Altoon, for all the posts on this blog and your continued presence on facebook. enjoy your break and look forward to seeing you here, as and when! Your true obligation is to your own creative impulses. Thank you for all you've shared here, and continue to share in other formats and arenas. Altoon: such a generous act all this time. Sending much appreciation your way. Completely get the shift: I have almost totally stopped my blog, but find Instagram still allows me connection. Gave up FB yrs ago. PS: your photo of that rise is as exquisite as a La Tour! Perhaps you meant rose? 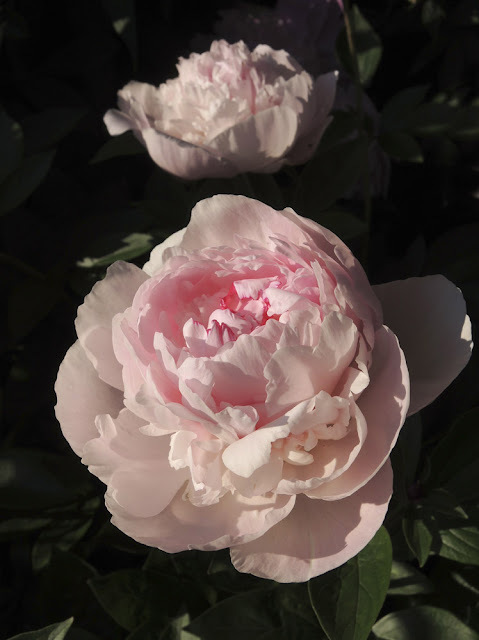 but it's a peony. Arise by any other name would spell as neat. Your blog has been a bright spot on the internet, both here and on fb. I've so enjoyed your thoughtful writing and gorgeous photos of nature and your work. Thanks again, so very much, for your support. Sincere thanks for the beauty you bring us. I do not exist on facebook....so miss you...oh well....my choice I guess. I looked in for years and enjoyed your blog. Thanks much.